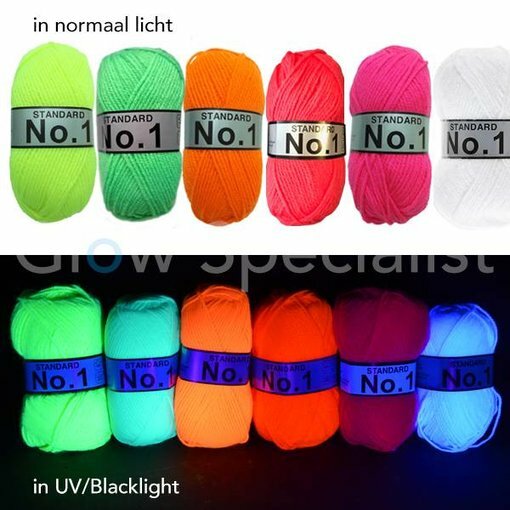 Glow wool, bright color in daylight, lights extremely under blacklight. This UV-wool can be used like any other wool for clothing, but also great and not expensive as decoration! Also used for string-art.